Photoxor Photography Tools: Photoxor C1 Version 1.33: Lightmeter Bug Fixed! This is a maintenance release of Photoxor C1. We fixed a bug in the lightmeter functionality, which caused a crash in some instances. 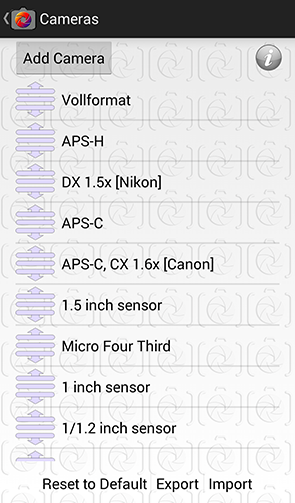 We also further improved the definition lists for cameras, filters, prints, primarily to avoid duplicated items. For rearranging of list items we introduced an icon for easier indication of this functionality.